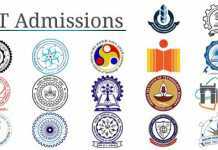 Indian Institute of Technology Ropar offers admission to M.Tech. program in the Department of Computer Science, Electrical Engineering, Mechanical Engineering and Center for Biomedical Engineering for the first semester of the academic year 2019-20. Candidates wishing to apply for the PG programmes at IIT Ropar can look up all the pertinent details like Eligibility Criteria, Application Procedure, Dates and other information for the IIT Ropar M.Tech Admission 2019 below. Latest: Application Form for IIT Ropar M.Tech Admission 2019 has been released. Use the link below to apply online. Candidates can fill their Application form for IIT Ropar M.Tech Admission 2019 from here as per the scheduled date. All the candidates are required to read the complete article to know about the requirement for admission in M.Tech in IIT Ropar for this session. Application forms for the IIT Ropar M.Tech admission is available now on the official website. Offline applications will not be accepted. Before going to apply candidates must ensure their eligibility. The direct links to apply for various departments have been provided below. Apply Online: Click here to apply online for M.Tech Admissions 2019. Candidates must register for the COAP first as COAP registration number is essential for filling up of the application form. Now the candidates need to login to apply for M.Tech Admission. They will receive a confirmation mail if their registration is successful. They must validate the link sent and enter a password of their choice. They can upload a picture if asked but it is not compulsory. Candidates can save the password and proceed to fill the Application Form. Bachelor‟s degree in Engineering/Technology (B.E/B.Tech.) or in a appropriate area from educational institutions approved by AICTE/Government. Master‟s degree in Science/Computer Application or equivalent in the appropriate area. IIT Graduate/Graduating from IITs with B.Tech. degree and having CGPA of 8.0 (on a scale of 10) (CGPA of 7.5 for SC/ST/PD candidates) can apply without GATE score. *Note: The number of seats for M.Tech 2019 has been revised from 15 to 10. Seats are reserved for Indian Nationals under the categories, SC/ST/OBC(Non-creamy layer)/PWD (Persons with disabilities)/Economic Weaker Section (EWS) according to the Govt. of India rules. 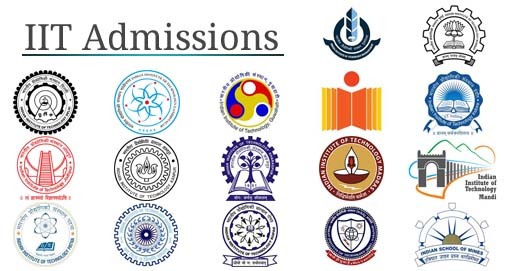 To download information brochure of IIT Ropar M.Tech Admission 2019 click here.